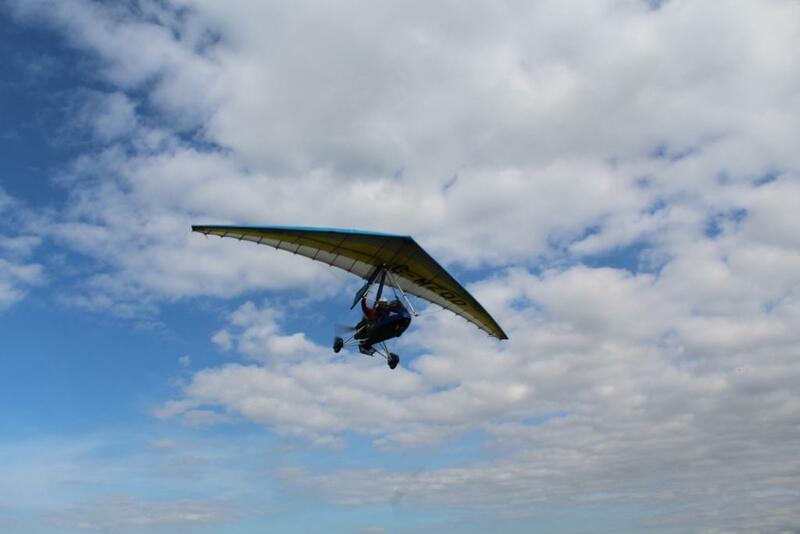 Microlight over The Garden of England and enjoy the spectacular visuals provided at 2,000ft by the Microlight aircraft that is capable of over 70mph - with a qualified instructor present throughout. Microlighting is the most authentic way to get up and out enjoying the skies and the glorious views of below, as the age old sport pits you in the seat of an open cockpit and exposes you to a pure, unbridled sea of views - none more so than The Garden of England itself; Kent. 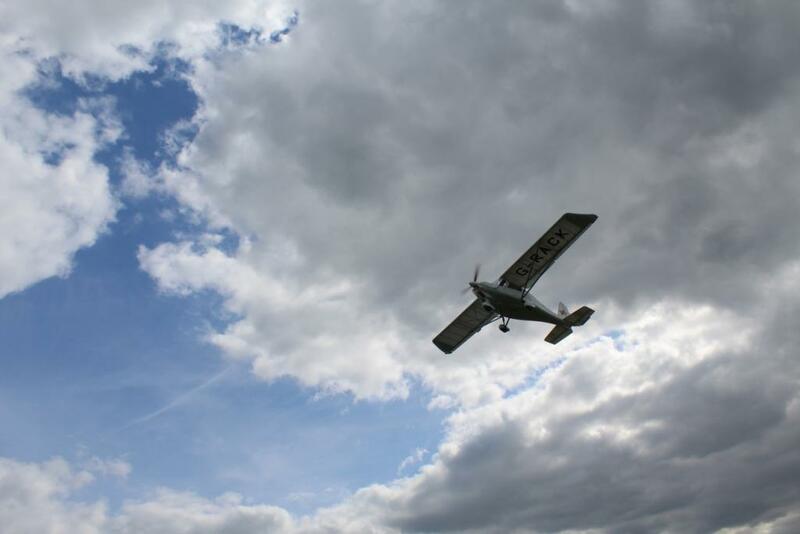 Taking off from Stoke Airfield, your 20minute Microlight flight will have you soaring through the skies at 2,000ft at speeds of up to 70mph - with nothing but gloriously picturesque countryside below. An authentic and altogether magnificent way to get out appreciating the lushness of Kent, and the brilliance of Leonardo da Vinci's age old flying machine!Your Microlighting trial flight in Kent will start with a welcome to Stoke Airfield, where you'll meet the instructor ready for a flying experience to remember - piloting a lightweight aircraft over The Garden of England that is the south's most lusciously green county. Once briefed in the safety aspects and essential protocols of Microlighting, you and your instructor will be en route to a height circa 2,000ft - where you'll reach speeds of around 70mph! Soaring through the skies with the instructor at the helm; if all goes to plan and the weather permits - you may get chance to pilot the simple flying machine yourself! Once the flying has been grounded and you're back on terra firma - you'll conduct a quick post flight aircraft check before being presented with a commemorative certificate to remember your day with. Microlighting over Kent is available on selected weekdays and weekends throughout the year. This centre does not operate Monday - Wednesday. Microlighting Trial Flights from Kent's Stoke Airfield usually last for around an hour in total, with somewhere near 20 minutes in the air. Participants: The Microlight Flight Kent is for 1 participant. Spectators are welcome to watch you take off and land on your unforgettable Microlighting flight in Kent - and are encouraged to bring cameras! There is a strict no pets rule in operation, and under 18s must be accompanied by a non-participating adult. Microlighting may get your clothes a little dirty, so it is advisable you wear clothes that you don't mind scruffing up somewhat! Whilst all safety equipment is provided at the centre, it is advisable that you wear layers suitable for the weather - such as warm jumpers and scarf in the winter, and sunglasses in the summer. The weather conditions on the day play a big part in whether your Microlighting experience will be running, so please ensure you speak to the centre to ensure it is going ahead. You can do this by calling the centre on the day (before 09.30) or on the evening before to ensure it is going ahead. Mark was amazing. We saw seals sunbathing on sand banks. Pumpkin fields and much more. He was really informative and friendly. It was the best! Going to do it again very soon and Greg was a brilliant teacher many thanks to him. Really enjoyed this trip and insight into flying a light aircraft. The information I received in such a short space of time really opened my mind to this experience and made me want to learn to fly in this way. The views were wonderful from the aircraft and I was being trained in the controls at the same time, so I felt part of the whole experience, thank you Gary. A very fascinating and encouraging trainer. An experience I would recommend. Had an amazing 20 minute microlight flight. The instructor was experienced, confident and a great teacher. Imagine I'll be going back over the summer to try out some more! This experience was incredible! I chose the Fixed Wing Microlight which I thoroughly enjoyed. Greg and Paul were very welcoming and friendly, which made me feel at ease throughout my flight. Would highly recommend. What an amazing experience! I chose to fly the flex wing and oh my god what a choice it was! Greg, my instructor made me feel at total ease and even allowed me to fly it myself. I would recommend this experience to everyone, whether the like flying or not. It was like nothing I had ever experienced before. I would urge you all to try it! Amazing experience, Greg was brilliant, would highly recommend. The experience was brilliant, the tutor Greg, was very informative and explained the workings and flight skills needed like a friend would. Very impressive and most enjoyable. I was bought this for my retirement as I like flying. The people were friendly and the microlight was great fun to fly in and control. An experience to savour and enjoy to the full. 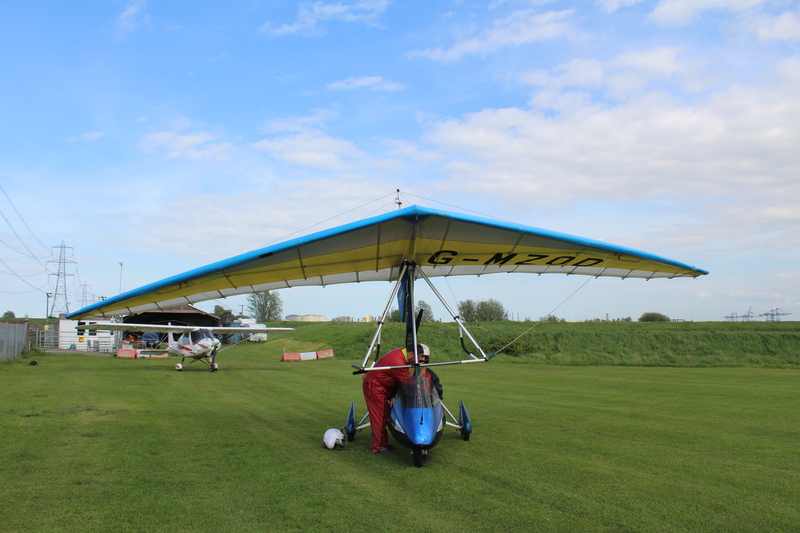 I took a microlight flight on Saturday 30th May and thoroughly enjoyed the experience. My son in law also flew and quite a number of family turned up to watch making it a great family day. Also very good value for money. My wife and I both went together and flew at the same time. The flight instructors were very friendly and fun to talk to. The facilities were small but very clean and well run. The flight was amazing, having not been in a micro light before we did not know what to expect It was a great experience and I would recommend it to anybody young or old - we are both pensioners so what are you waiting for? Get it booked you wonât regret it! Fantastic experience with great people - had a brilliant day and would definitely recommend it! Absolutely top drawer. The instructor was brilliant, really knowledgeable (obviously?) and constantly passing on useful information/observations which really made the time fly (?) It felt like we were only in the air 10 minutes, but it was more like half an hour. Flight instruction really excellent, a genuinely friendly atmosphere. Facilities a little basic but honestly, all the best flying clubs are!! A thoroughly enjoyable day (but then I am biased as it involved aircraft!). Thanks for making it so memorable. Staff were more than accomodating dispite me being half an hour late. couldnt have been more welcoming and friendly, i would definatly go again. thank you. A windy day which I believed would lead to a postponement of the flight. To my surprise it went ahead albeit with a 40mph wind. This led to us not going to far as, going out, we were against the wind. Coming back however was brisk! It was a great experience and would be good to do again with more time spent in the air. It did seem mad sitting in the open air 3500 ft in the air in nothing more than a bathtub with an engine! Not much to say really... just that I thoroughly enjoyed my flight. It was an experience that I am glad I did not miss. 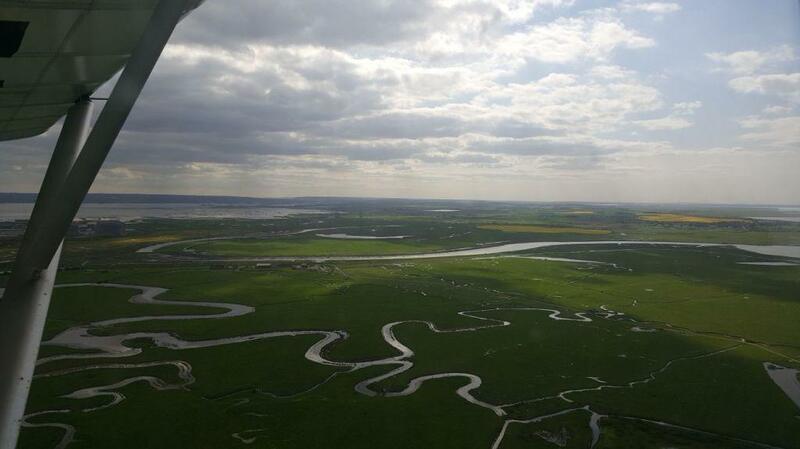 On one sunny afternoon, Experience Days took a trip to Rochester, Kent, to complete an incredible microlight flight experience. After what seemed a reasonable time for quite a long-distance drive from Brighton, we arrived to the most scenic airfield I think I’ve ever seen. Walking closer to the airfield office, we were warmly welcomed to Two Two Fly by Greg and Paul. Greg immediately asked what we would like to complete throughout the trip, as customers are given the choice between a fixed or flex wing aircraft. Charlotte opted for the flex wing, while I chose the fixed wing. Once we had signed the necessary forms, it was time for me to fly! The engine began and Paul was running through the start-up procedure, mentioning that I was going to take off and land. My immediate reaction was 'how on earth will I be able to pull this off?!' However, Paul immediately put me at ease with his instruction. Once up in the air, the views were incredible - we could see for miles! We reached at least 1000 feet in the air and were travelling around 70 mph. I couldn’t believe I was controlling this aircraft - of course, with guidance from Paul! I was surprisingly calm for what seemed a daring experience. Paul even managed to show off some tight turns which did make my stomach go slightly - but I thoroughly enjoyed it! After being in the air for around 20 minutes, we started heading back to the airfield. Our landing was smooth but exhilarating. I must admit, for the majority of the experience, I was pretty speechless - and that’s saying something coming from me! Once on the ground, it was time for Charlotte to fly! As she prepared by getting into her flying suit, she headed towards her flex wing microlight. Greg ran through the necessary safety instructions while putting on Charlotte's helmet and advising where she'd be sitting. Then she was ready to go! I ran back over to the safety area while watching Charlotte take off. She managed to control the microlight along the runway before taking off and even got to take the controls in the air! As she flew over the marshlands, sea and beautiful countryside, she also reached an incredible speed and height. Later, finding out that even though Charlotte was around 1000 feet in the air, it didn’t feel anything like it, as she mentioned she felt completely comfortable and safe throughout. Charlotte's experience was drawing to a close which meant her flex wing microlight was heading straight towards us. This made for perfect moment to capture a few great pictures. Once back on the ground, her smile was beaming. We thoroughly enjoyed our microlight experience, it was beyond anything we had ever imagined. A huge thank you to Greg and Paul for having us and being incredibly calm instructors, who put us at ease throughout. We will definitely be coming back! 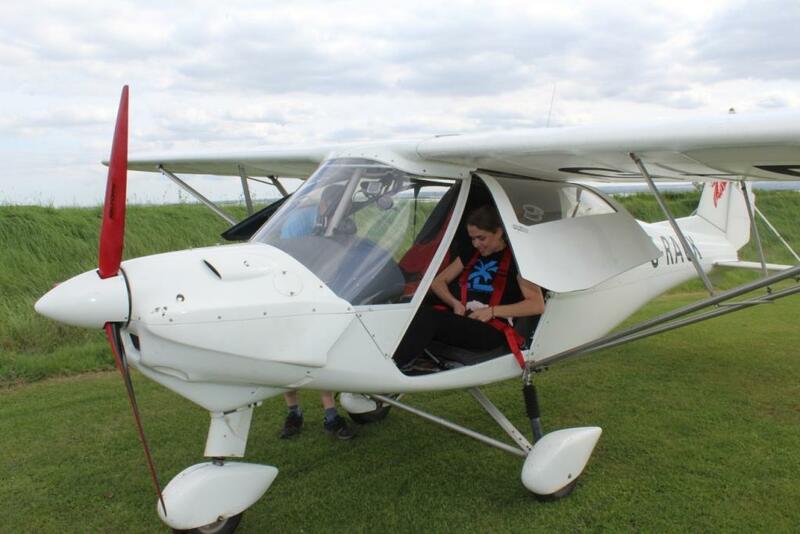 Can I take part in the Microlight Flight in Kent if I am deaf? Due to the nature of this experience, participants need to be able to take audio instructions. The instructor will be sat behind the you, and both would be wearing a helmet, so lip-reading or signing would not be an option. Is this experience available on weekends? Yes, this experience runs on selected weekdays and weekends throughout the year.